ICCIS is a premier, annual forum for sharing original, novel ideas in communication and information systems. 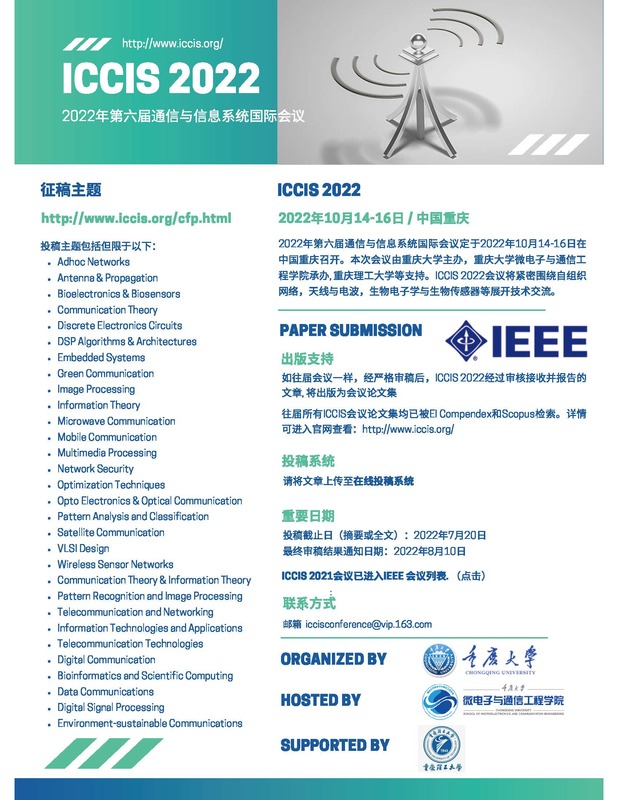 Continuing this tradition, 2019 IEEE 4th International Conference on Communication and Information Systems (ICCIS 2019) will be held in Wuhan, China on December 21-23. ICCIS 2019 welcomes paper submissions on innovative work from researchers in academia, industry and government describing original research work in communication and information systems field. 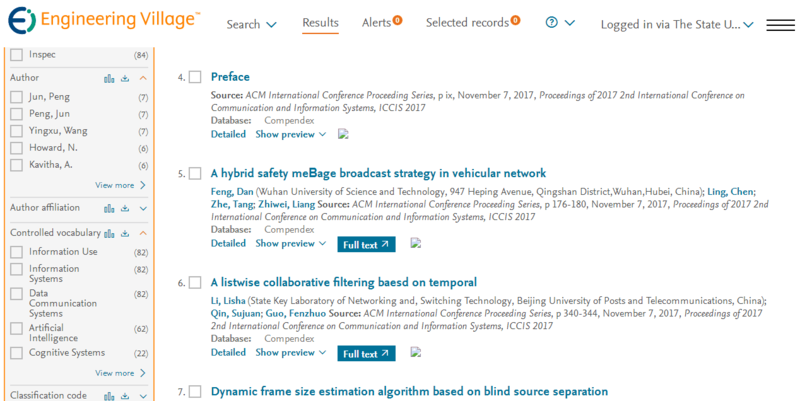 After a careful reviewing process, all accepted papers after proper registration and presentation, will be published in the Conference Proceedings, and submitted for including in IEEE Xplore, Ei Compendex and Scopus index, like the previous three years.